Stuart Skinner was a man on a mission Wednesday night in Everett. Not a single puck made its way past the Swift Current Broncos goaltender as the product of Edmonton, Alta., turned aside 32 shots to backstop his team to a 1-0 victory over the Everett Silvertips in Game 4 of the 2018 Rogers WHL Championship Series, claiming a stranglehold 3-1 lead in the best-of-seven clash for the Ed Chynoweth Cup. Veteran defenceman Colby Sissons provided all the scoring that was necessary on Wednesday, putting a power-play effort past Silvertips goaltender Carter Hart with 5:25 remaining in the second period. “I’m really happy with how my team played in front of me,” Skinner said. “Our PK was really strong tonight, especially in the second period when they got a couple good opportunities and we were able to stay strong. With Sean Richards serving a hooking minor in the second period, Sissons skated in clean across the Everett blueline and unleashed a hot wrist shot that beat Hart clean, providing what went on to be the lone marker between the two Clubs over the course of the evening. As solid as Skinner was from start to finish, the Edmonton Oilers prospect saved his best work for last. With 1:18 to go, a close play in tight gave the Silvertips an unreal chance to tie the game. 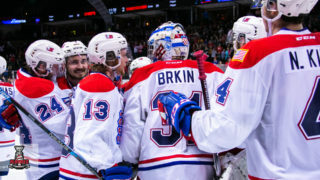 Patrick Bajkov worked the puck from the boards into the slot where Matt Fonteyne redirected a pass on to the stick of Garrett Pilon atop the Swift Current crease. Spinning and getting off a quick shot along the ice, Pilon had a glorious opportunity only to watch the left pad of Skinner shoot out and across, taking away the bottom of the net and stonewalling the Silvertips veteran. That save proved to be Skinner’s biggest of the night, as it preserved the 1-0 lead and secured the triumph. “We’re certainly pleased with the win, no question about it,” said Manny Viveiros, head coach of the Broncos. “It was difficult, like every other game we’ve played so far in this series – it came right down to the very end again. For the fourth consecutive game in the 2018 Rogers WHL Championship, fans were privy to another tight-checking, one-goal affair. 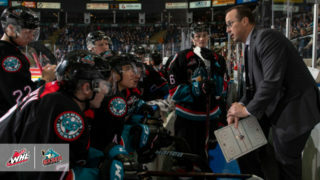 “I thought we played a good game,” said Dennis Williams, head coach of the Silvertips. “That’s what happens this time of year. It wasn’t a lack of effort. It’s a tough one because I was proud of our effort, of our tempo, of our compete, our response. Sometimes you win and sometimes you lose. We’re in a little bit of a rut. “But like I told the guys, we’ll come back and have an even stronger effort on Friday. We’ve got to learn from it and continue to get better. Prior to opening the scoring on the man advantage, Sissons – a prospect of the New Jersey Devils – was dangerous in the early going. The first power play of the game belonged to the Broncos after Bryce Kindopp was given the gate for tripping with 15:02 to go in the first period. On the ensuing advantage, Sissons rang one off the post. Moments later, Fonteyne was sent off for interference providing Swift Current with 41 seconds of 5-on-3 power-play time. Despite the two-man advantage, the Broncos were unable to convert and the game remained even. With 2:26 to go in the first period, the Silvertips thought they had jumped out to a 1-0 lead. A scramble play near the Swift Current crease saw a bouncing puck batted out of the air by the hand of Riley Sutter. From there, the rubber rolled over the shoulder of Skinner and across the goal line. After a brief review, the no-goal call on the ice stood and the score remained 0-0 after 20 minutes of play. Only 10 seconds into the second period, Sissons was given the gate for tripping, providing the Silvertips another power-play opportunity. With 15 seconds to go in the Everett man advantage, Washington Capitals prospect Beck Malenstyn managed to get in behind the Silvertips defense. Breaking in alone on Hart, the veteran forward went right to left, stretching out the Everett goaltender, but was unable to slide the short-handed effort through. With 14:55 to go in the second period, Skinner was provided his first point-blank test of the night. From the blueline, a shot made its way through a crowd and was turned aside easily enough but it was the rebound that gave Skinner a real challenge. From a few feet out of the crease, Patrick Bajkov fired a quick shot high short side that Skinner needed to react to quickly with his blocker. He did just that and the scoreboard continued to read 0-0 for the time being. Malenstyn was perhaps the most consistently dangerous Bronco throughout Game 4. With 6:30 to go in the second period, he once again got in behind the Everett defense while short-handed. The speedster busted down the left wing and tried to go low on Hart, only to have the door slammed in his face for a second time. After a back-and-forth third period and time winding down on the Silvertips, Williams called for timeout with two minutes to go in regulation and a face-off set for just outside his team’s blueline. Winning the draw and heading up ice, Hart made his way to the Everett bench for the extra attacker with 1:52 to play. It was moments later where Skinner stymied the Silvertips and that was all she wrote. 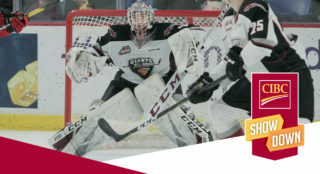 Skinner was perfect with 32 stops to earn his fifth career playoff shutout, all of which have come during the 2018 WHL Playoffs. At the other end, Hart kicked out 18 of the 19 pucks sent his way. By the end of the night, the Silvertips went 0-for-5 on the power play, while the Broncos went 1-for-4. 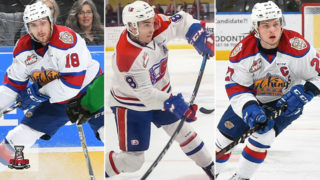 With a 3-1 series lead, the Broncos will have an opportunity to claim their first WHL Championship since 1993 come Game 5 on Friday, May 11 in Everett. 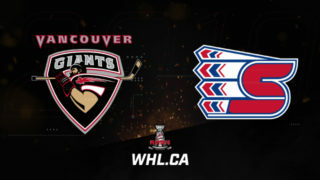 Game 5 of the 2018 Rogers WHL Championship Series is scheduled for Friday, May 11 (7:35 p.m. PT) at the Angel of the Winds Arena in Everett. 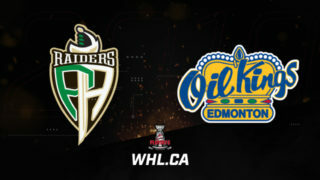 Fans can tune in via WHLLive.com. The winner of the 2018 #WHLChampionship Series will go on to represent the WHL at the 2018 Mastercard Memorial Cup in Regina, Sask., from May 17 to 27.